With the medical professionals screaming at us to eat healthier and better while the food marketers say their fake food fits into this category, it’s difficult to know where to turn. But I rely on a real food diet — healthy food that comes from the ground or from a tree and has never graced a factory or processing plant. I don’t have to worry about eating too much of it or if it’s going to give me hives or any… ahem… digestive issues. If you’re hoping to make the switch or just trying to expand your healthy horizons, here are seven, deliciously real foods that you can and should enjoy with relentless abandon. Basil: A darling herb of the warm summer months, basil isn’t just darling; it’s power-packed with nutrients. Essential oils, eugenol and rosmarinic acid, are anti-inflammatory components that help alleviate flare ups of diseases such as arthritis. Basil is also rich in bone-strengthening Vitamin K and A. Add it to salads, make pesto and put it on veggies or fish, or add it to any recipe you’d like to add a fresh, green flavor. Easy to grow both inside on a window-sill or outside in the garden. And quite happy in a real food diet. Blueberries: The saying goes,”The darker the berry, the sweeter fruit.” But you can also say that about nutrition. With the exception of cauliflower, most dark vegetables and fruit have more nutrients the darker they appear. Think spinach, kale, darker black-variety tomatoes, and blueberries. These tasty little blue antioxidants have Vitamins C, K, and fiber. Not in season? No worries. Frozen blueberries are just as good as fresh, and oftentimes better. Add them to your morning breakfast routine, in smoothies, to salads and eat them as a snack. Asparagus: As the first sign of spring in the grocery stores, asparagus offers up plenty of fiber, iron, vitamins A, antioxidant C and E as well as potassium. Not to mention all the B vitamins and folic acid. The peak season for fresh asparagus is unfortunately short — from February through May — but you can often source it outside of its springtime home from faraway lands. Since it’s longer out of the ground, the asparagus will lose some of its oomph but still give you some love. Try one of these asparagus recipes. Salmon: When buying salmon, always choose wild over farm-raised whenever possible — the omega 3 content in wild caught is 33% higher and has 20% more protein. Omega 3 is the heart-healthy part of this oily fish. 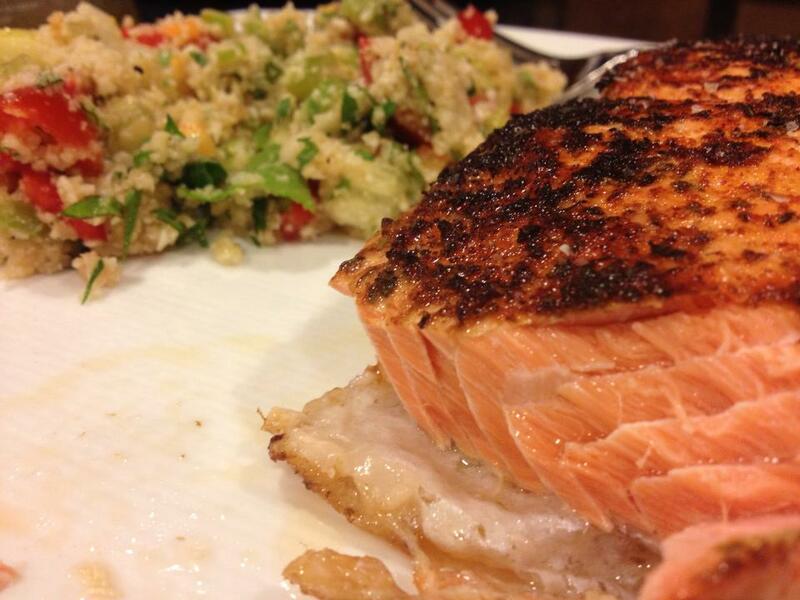 Salmon is also rich in potassium, vitamins B6 and 12, as well as magnesium. And keep in mind you don’t always have to spring for fresh or frozen salmon fillets. Smoked salmon retains much of its nutrition and good canned salmon also has calcium from bones which are intentionally left intact. Recipes for blackened wild salmon and smoked salmon and pesto pasta. Eggs: The old ad campaign from the ’70s — The Incredible, Edible Egg — got it right. These little orbs are so good for you, the cholesterol fear mongers from days of yore should be ashamed of themselves. 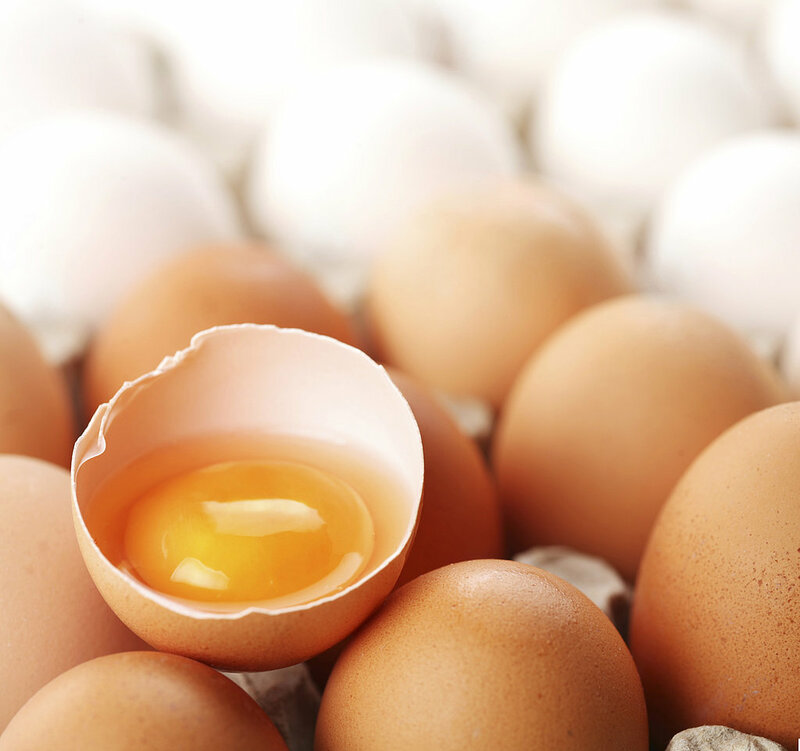 (Read unscrambling egg myths). They’re rich in Vitamins B, E, A, and D, as well as thyroid-maintaining iodine and selenium. Lest we not forget protein too. Scrambled, fried, boiled or poached, eat ’em up. Or try this recipe for crustless mini quiches. Cherries: Although cherries are high in natural fructose sugars, because they’re rich in fiber your blood sugar doesn’t shoot up after eating them. And hopeful research indicates that cherries inhibit inflammation almost as well as ibuprofen. (Works on me… try it!). This delicious red fruit contains high levels vitamins of A, C, as well as potassium and fiber. Frozen cherries are as nutrient-rich as fresh so you can eat them year-round in salads, sauces and as a snack.